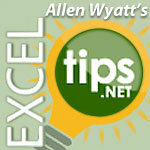 The VBA programming language included with Excel allows you to create very powerful macros. It is not uncommon to record a couple of macros for a workbook, each designed to accomplish a quick little task. When you create the macros, Excel adds what is called a module to your workbook. This module is used to store the macros that you record or create.